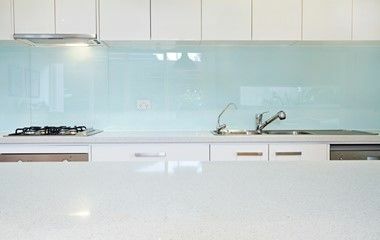 Let the expert glaziers at AAA Glass help you create your dream kitchen with our custom made glass products, such as splashbacks, sliding doors, cabinets and table tops. Tell us what you want and we’ll work with you to find the best solution for your needs, giving you the AAA assurance of the highest quality outcome at a competitive price. 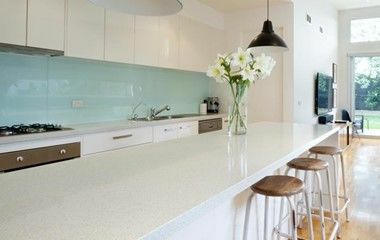 More and more, people are opting for glass splashbacks as an alternative to tiling in the kitchen and other wet areas, such as the laundry or bathroom. 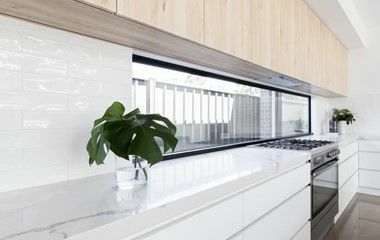 Splashbacks come in a great range of contemporary colours, including mirrored glass, and can be customised to fit any area. They are also available with decorative printed films, custom designed to suit your kitchen’s interior. Made from toughened glass, splashbacks are not only a beautiful addition to your kitchen, they are durable and easy to clean, keeping them looking good for years to come.